Big data analyst, data scientist, data miner. What do these three jobs have in common? Well, besides all of them being related to data, none of them existed ten years ago! While millennials may be aware of, and even occupy these jobs in other industries today, they might not realize that the insurance industry is one of the top five industries that are hiring for big data related jobs. These roles definitely go beyond what one would typically consider a career in insurance. However, they are definitely attractive opportunities for millennials, and in my opinion, another reason why millennials should seek careers in the insurance industry (check out three others here). We can’t expect millennials to seek these opportunities out if they don’t know about them. Join me in discovering 4 emerging job titles in the re/insurance industries below. DID YOU KNOW?! “Data Scientist” has been named the sexiest job of the 21st century! So what exactly does it entail? Harvard Business Review defines it as a high-ranking professional with the training and curiosity to make discoveries in the world of big data. The emergence of this job is a by-product of the challenges that companies face in making meaning of the volumes and variety of data they collect on a daily basis. Where there is big data, there are big job opportunities for individuals that can sort, analyze and make meaning of it. The good news is, where there is reinsurance, there is certainly big data. While tools like INSIGHTS help the reinsurance industry draw value from their data, individuals need to answer the- what I like to call- ‘so what’ question? We have all this data, so what can we do with it? How can we leverage insights to answer key business questions, operate better and improve performance? Enter the sexiest job of the 21st century! Not to mention, the salary that comes along with it. The advertised salary for technical professionals with big data expertise and in-demand skills is $124,000 net of bonuses and compensation. Another job that has emerged over the last ten years is the “app creator”. This role has become increasingly popular alongside the growth of smartphones because they generate an appetite for apps. With nearly half of the world’s adults owning smartphones, it is no wonder the insurance industry wants a piece of this pie as well. Particularly those looking to attract millennials. Almost 90% of this generation owns a smartphone and using apps is one of their top monthly activities. All three of these objectives can be accomplished through apps. Hence the opportunity to have a career in insurance as an app developer. Below you can see how Metlife and AIG are already investing in the mobile APP-ortunity to connect with customers. 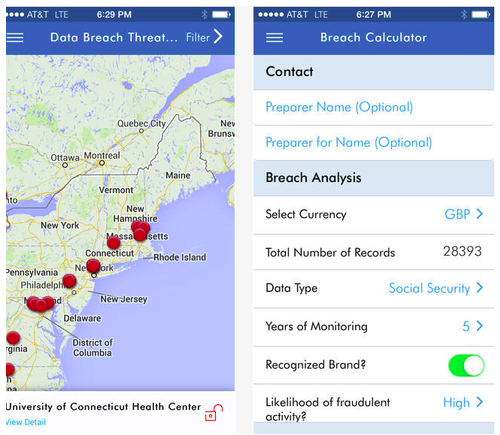 AIG has an app called Cyber Edge which keeps users informed of the evolving cyber-security space with updates on cyber news, recently reported data breaches, risk analysis, and industry opinions. 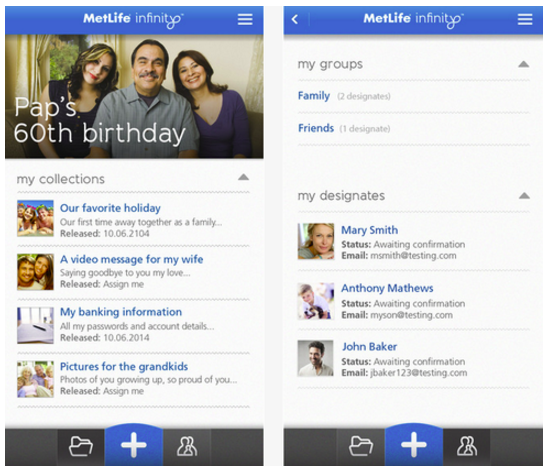 MetLife's Infinity app can be used to record and share photos of milestones, vacations and everyday life. It also offers cloud storage for more critical information passports, birth certificates, and of course insurance documents. So if clients are using it for fun purposes, why not add the important information while you are in the same place. Here are 6 other insurance companies that are thinking outside the box when it comes to insurance apps. This is another role that you may not immediately associate with insurance. However major wearable companies like FitBit and Jawbone are already aware of the role they can play in determining costs for individual and group health insurance. Manulife introduced Vitality as a way to reward people for healthier lifestyles. How do they accomplish this? By providing a free wearable device to keep track of healthy activities for clients that purchase a vitality product. Manulife keeps track of their lifestyle choices through the device and rewards clients for healthier, active lifestyles. This is an innovative product, tied directly to the insurance industry resulting in several new jobs that wouldn’t have existed ten years ago. While sales representatives have been around for what seems like an eternity, there is a new ‘knowledge-based’ demand for this role. We’ve talked a lot about big data, and the roles & technology that have emerged from it. In order to sell the technology, gadgets, or even concepts that rely heavily on big data, sales representatives need to have a solid foundation of knowledge on it. According to Forbes, the demand for sales representatives that know how to sell big data solutions is and will continue to skyrocket. When it comes to the re/insurance industry, we know there is a demand to better understand the large amounts of data being processed everyday. Knowledgeable sales reps on the matter, can help decision makers leverage the right technology to accomplish what they want, with the data at their fingertips. All four of these emerging job trends demonstrate the wide variety of careers available in the re/insurance industry. It is such an exciting time for this industry and having the opportunity to be involved in the game-changing products and technology that are being and will continue to be rolled out – well what more could you ask for in a career?! Want more insights like this? Join our community of blog subscribers.